Trace filtering is now available! Trace filtering is now available! Take it for a whirl in order to search the full text of a span tree. Check it out on your favorite baffling trace! Tracing: Edit and run queries from span details! 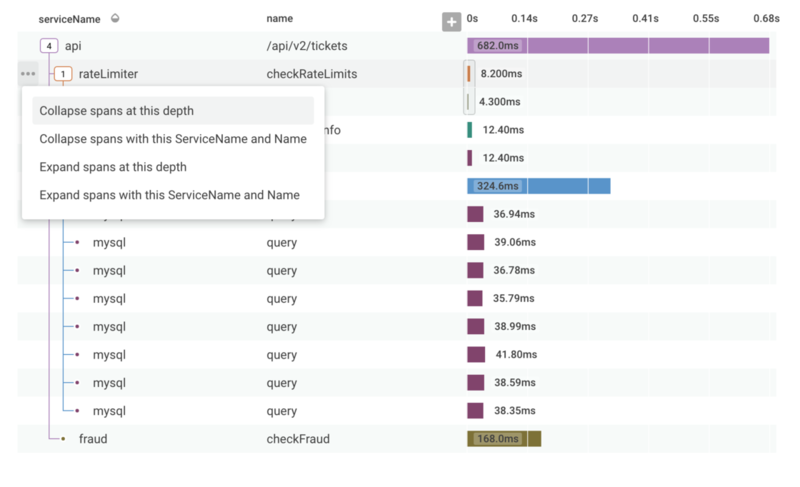 The Tracing sidebar now has query menus for each field, so you can run queries from span details! We now support Okta as an Identity Provider. If you're using Okta, head to the setup guide here to get things hooked up. As a team owner, you can also now turn off SSO. Inline cues for how far back in time you can query, and how much data is in your Fast Query Window. Have you ever wondered what your system was doing in the same time period, but back a couple hours? We've added buttons to let you jump backwards and forwards in time. Select your time frame, for example: "Last 30 minutes", then click back to jump back that amount of time in your data. Learn more at the blog post and the docs. Are at the same depth as the selected span. Have the same ServiceName and Name as the selected span. This will allow you to more quickly get an overview of a trace, as well as find spans that you think are interesting inside of a trace. 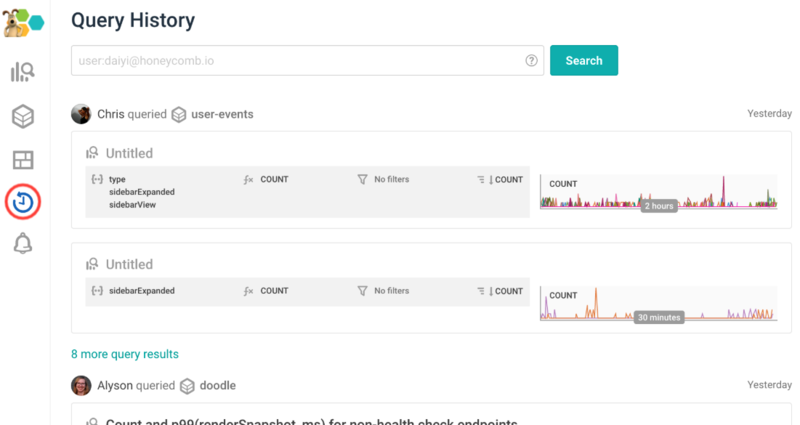 You can now use the new search functionality to recall the queries you constructed in the past, see how your teammates solve problems, or replay the debugging steps of an incident. We've added a new function to the derived column language, LOG10. It computes the base-10 logarithm of the input number. This can be helpful for working with columns with very broad ranges of values. libhoney-go v1.9.1 has been published, now with Client objects for more effective event isolation. This change may be particularly useful for users interested in isolating separate connections (or send queues) to Honeycomb: for example, if you'd like to take advantage of multiple libhoney.Configs (see godoc) in order to define custom transmission behavior. Surely Honeycomb will start publishing changelogs very soon.